Presently Rev. 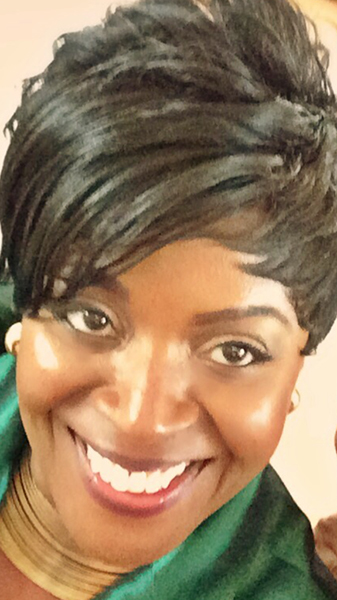 Jairite Anderson-Cole, an anointed woman of God, is an ordained deacon in the life of the AMEZ church, Rev. Cole was appointed Pastor of St. Philips A.M.E. Zion Church in Nyack, New York. June, 2016, following the passing of the late Rev. Paul Smith. Although Rev. Cole has been called to Ministry, providing human service is a vital part of her calling as well, which gives ministry for Rev. Cole a more holistic approach. Rev. Cole, spent her formative years in Roslyn, NY and attended Friendship Baptist Church under Pastor Richard Hunter. Since the online sale viagra early 90’s Rev. Cole was an active church member at Blessed Trinity Baptist Church in New York, NY, and assisted the late Rev. Phillip M. Mann with ministerial responsibilities and in 2005 received her call to Ministry. In 2010, Rev. Cole did her trial sermon at Greater Centennial AME Zion church in Mount Vernon, NY under Rev. Dr. W. Darin Moore, who is now the Presiding Prelate of the Mid-Atlantic Episcopal District AME Zion Church. Rev. Cole completed her Masters of Divinity in 2011 from New York Theological Seminary and has completed her Doctorate in Ministry from Alliance Theological Seminary in Nyack, New York in 2017. Rev. Cole is married to Michael Cole and they have one son Joshua Michael Cole who is 6 years old. Rev. Cole attended Utica College of Syracuse University in 1985, where she received her Bachelors of Science in Criminal Justice. She subsequently enrolled in the Borough of Manhattan Community College and received her A.A.S. in Nursing in 1996 and has worked as a licensed Registered Nurse. Rev. Cole earned a Masters of Art degree as a Nurse Executive from Teachers College of Columbia University in 2004, where she graduated with honors and is a member of Sigma Theta Tau. Rev. Cole has been in the healthcare and buy cheap xenical social service field for 28 years. Her extensive experience in these fields has led to the development of a Home Health Aide and Certified Nurse’s Aide training program. In 1997, she founded Cudley’s Training Program, Inc., which has trained over 50,000 individuals who have been placed in home care agencies, nursing homes and hospitals throughout the New York, New Jersey, Connecticut, Pennsylvania and Florida. These Trained aides are taking care of the sick, elderly and disabled from infants to seniors. Jeremiah 29:11 states, for I know the thoughts that I think toward you, says the Lord, thoughts of peace and not of evil, to give you a future and a hope. The best is yet to come in the service of the Lord.